Summer - every year it catches you out. At first you're grateful for the longer days; marvelling at how well the (your mum's) garden is growing as you and it both enjoy a bit of that revitalising sunshine. But then the next thing you know it's pushing 40℃, the birds have descended, and unless you want to see all that time and nurturing go to waste, you've suddenly got a very generous amount of stone fruit to process. It's not that I'm ungrateful - having access to such incredible home-grown produce is, without doubt, a real treat - but it does take a lot of work and, as you near a test century of filled jam jars, while you know that your toast (and that of your friends, colleagues, random passers-by...) is certainly going to appreciate it come June, there's also a sense that what you really need is a holiday from your holiday! Something a little simpler, then, to start (or end) the day; like this rustic rye tart filled with sharp, juicy plums and sweet blueberries. It looks gorgeous because of what it's not; no fuss or fine detail, just a rough-and-tumble hodgepodge of blushing fruit barely held in place by a crisp, earthy crust. Each stage of these tarts (including preparing the unbaked tarts) can be done in advance. Begin the pastry at least one day ahead. 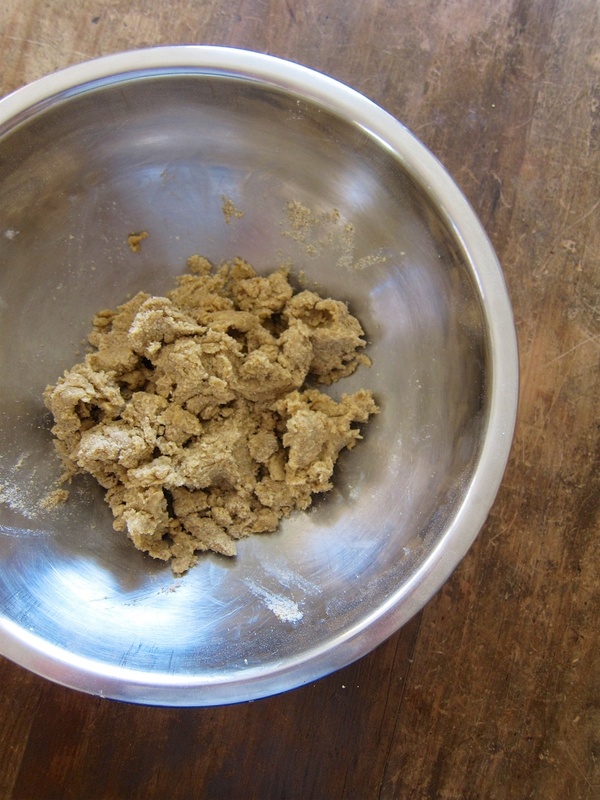 To prepare the rye pastry, sift together the dry ingredients and then rub in the butter with your fingertips until there are pea-sized lumps remaining. Add enough water to just bring together a dough, then wrap in cling film and refrigerate for at least 1 hr. Remove the dough from the refrigerator and roll out into an ~20- × 30-cm rectangle on a lightly-floured surface. Working from a short end fold the dough piece in thirds (as if folding a letter) and then rotate the whole piece 90° so that the long edge is closest to you. Repeat the rolling and folding steps twice more, then wrap in cling film and refrigerate overnight. To prepare the tarts, first toss the plums in 1-2 Tbsp of cinnamon sugar then set aside (the amount of sugar is really to taste, so if you like your fruit tart use less, or use more if you prefer it to be sweet). Divide the dough piece in two and roll each into a disc 2-3-mm thick. For each disc, sprinkle 2 Tbsp Moondust* in the centre of the dough (leaving a 5-cm gap around the edge), pile on half of the macerated plums and scatter a handful of blueberries into the gaps (saving some of the blueberries to finish off the tarts once they're baked). Fold up the edges of the pastry to form a pie, brush with apricot jam and then freeze for a minimum of 1 hr before baking. While you're waiting, preheat the oven to 180℃. Brush the pastry with a little egg wash and sprinkle each tart generously with cinnamon sugar. Bake for 60-70 minutes, until the pastry is golden and the fruit is soft. Finish with fresh blueberries and a light dusting of icing sugar, if desired. Makes two, ~15-cm-diameter tarts. Best eaten the day they are baked. 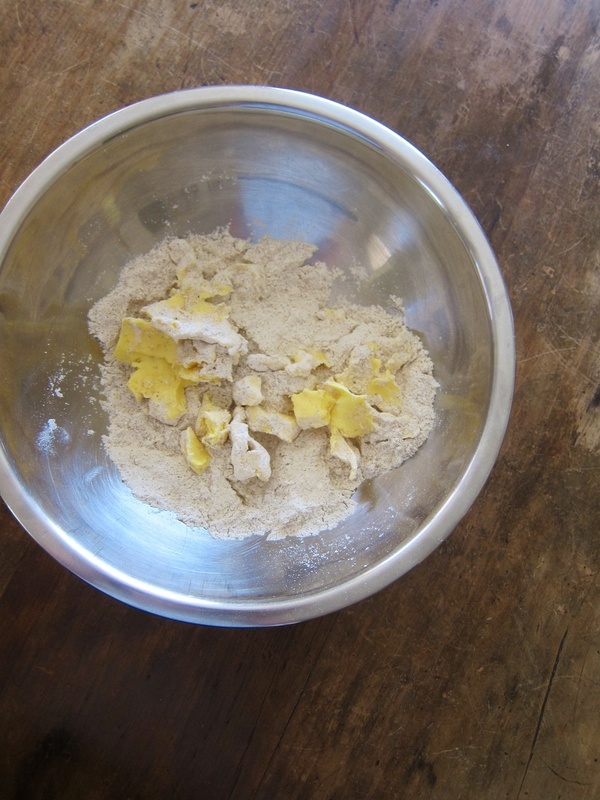 ** Moondust (almond-amaretti powder) is a little Alice Waters creation that she uses in her galettes to add flavour and help absorb excess juice from the fruit. You can find the recipe for it in her book, "Chez Panisse Fruit", or substitute almond meal for a much simpler version. ** Cinnamon sugar is simply a mix of caster sugar and ground cinnamon and, like most components of this recipe, it is done to taste. Depending on how much you like cinnamon, add around ¼- to ½-tsp ground cinnamon for every 1 cup of sugar (just be careful not to overpower the flavour of the fruit).